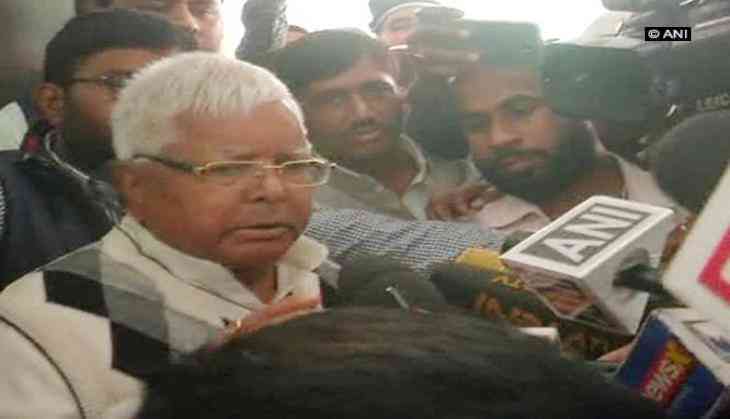 Rashtriya Janata Dal chief and former chief minister of Bihar Lalu Yadav was convicted and awarded 14 years of imprisonment in the fourth case of fodder scam. There are six cases against him but the judgment so far came in the four cases in which he was found guilty. In the first case of fodder scam, Lalu Prasad Yadav was convicted in 2013 and awarded five years in jail. The court charged the former chief minister of Bihar with embezzlement of Rs 47 lakh from the treasuries at Banka and Bhagalpur districts, where alleged forged and fake bills were concocted by the Animal Husbandry Department in 1995-96 when he was the CM. There were 45 convicts including former chief minister Jagannath Misra. In effect, the conviction barred Lalu from contesting elections for 11 years as per the Supreme Court order disqualifying convicts jailed for more than two years from contesting for six years after completion of their sentence. He was out on bail in the case. In the second case of fodder scam, Lalu was convicted on December 23, 2017. This came to pass months after the breaking up of the Grand Alliance and alliance of chief minister Nitish Kumar with the BJP. The case was related to fraudulently withdrawal of money over Rs 89 lakh from Deoghar treasury between 1991 and 1994 when Yadav was the chief minister and also handled the finance department. A special CBI court awarded him three and half years imprisonment with the fine of Rs 5 lakh while Jagannath Misra was acquitted. In the third case, Lalu was found guilty on January 25, 2018 for fraudulently withdrawing of funds of over Rs 37.62 crore from the treasury of West Singhbhum now in Jharkhand in 1992-93. Both Lalu and Mishra were awarded 5 year rigorous imprisonment along with fine of Rs 10 lakh. Today, he was convicted in the fourth case of fodder scam in the case of fraudulent withdrawal of Rs 3.5 crore from the Dumka treasury over two decades ago. He was awarded 14 years imprisonment and Mishra was acquitted in the case.